Since our inception, we are instrumental in manufacturing premium quality Reagent Bottle. Capacity (Millilitre): 30 ml. to 1000 ml. Reagent Bottle, These autoclavable bottles can be used for shipping and storing chemicals and standard, collecting and storing distilled water etc. 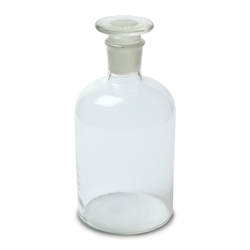 These Narrow Mouth Reagents Bottles are available in Polypropylene.The PP Bottles are rigid, translucent and have excellent contact clasrity. 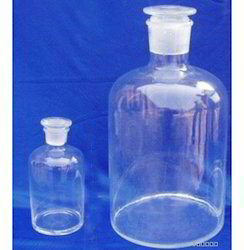 These bottles can ve autoclaved filled as well as empty. The Polypropylene Cap has a built in seal ring to make these bottles leakproof. ATICO Medical Pvt. Ltd. are manufacturer, supplier and exporter ofWide Mouth Reagent Bottle. Wide mouth, with screw cap & Teflon/rubber liner(made by blowing). Keeping in mind the precise demands of clients, we offer a wide range of Reagent Bottle. Our products are made using first grade raw materials and using best available technologies. These can be availed in various standard sizes and range. We offer these products in various varieties and technical specifications; these are available with us at budget friendly rates. We are proud to present premium quality Reagent bottles with lid cap that are made from extra ordinary glass that offers durable and long lasting structure to them. The supreme bottles, manufactured by us, are praised by our clients for neat and clear finishing. The superior Glass bottles, offered by us, come in different sizes and colors for easy comparison. Plastic Reagent Bottle wide and narrow mouth available in different sizes and capacities as per customer requirement.